Zeus is a leader in the design and production of high-performance polymer extrusions, as well as an innovator of post-production finishing and strategic supply initiatives. 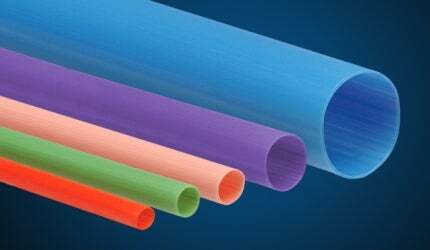 Zeus is the supplier of choice for precision high-performance extruded tubing, heat shrink tubing and monofilaments. We use a wide array of materials during the design and production process, and can customize our products to meet customers’ needs. Product design engineers look to Zeus for innovative tubing solutions that meet the performance requirements of an increasingly specialized world, such as PTFE Sub-Lite-Wall® tubing for catheter liners, fluoropolymer heat shrink for electrical and mechanical applications, high purity tubing for critical fluid handling and multi-lumen tubing for catheters and high-performance data cables. More than a component supplier, Zeus places a premium on close collaboration with customers through its research and development division. Our in-house R&D division partners with established companies and start-ups to develop the next generation of medical devices and therapies. Our focus is on the development and precision extrusion of advanced polymeric biomaterials, including Absorv® bioabsorbables and electrospun nano-fibrous materials. Enhanced properties of Absorv® bioabsorbables include modulated degradation rates, varying strengths and stiffness, and FDA-approval for medical devices. We are currently processing these materials and providing multiple extrusion forms, including shapes and special profiles. We are also able to process Aeos® ePTFE and electrospun polymers in a 5,000ft² Class 7 manufacturing environment, which allows for the development of these advanced materials in a more controlled environment. Our Class 7 Certified manufacturing capabilities include 10,000ft² of controlled environment operating under ISO 13485 guidelines. Zeus offers an impressive array of optimized tubing solutions for advanced applications. We produce flared and flanged tubes, as well as a host of additional secondary services, including drilling, etching, bump and draw down tubing, tipping, striping, scoring, and slitting. By having Zeus perform value-added services and operations, our customers have recognized improved yields and increased manufacturing efficiencies. Headquartered in Orangeburg, South Carolina, US, Zeus has facilities in North America and internationally, guaranteeing a stable source of supply to customers anywhere in the world. For more information about Zeus or to view our catalog, please see the contact details below. Zeus has announces the launch of its ‘Technical Z-Teams’. As the leading supplier of fluoropolymer tubing in the medical device market, ZEUS is well adapted to servicing a wide range of customer needs. We are well experienced at working with all of the organisational elements of a medical device manufacturer. An independent stuffy has recently confirmed Zeus PEEK Engineered Surface tubing to have a 42% decrease in the coefficient of friction versus the PEEK control sample, and is being used in various medical applications. The scientists, engineers and technicians at Zeus are helping clients' succeed through the launch of 'Technical Z-Teams'. Zeus now offers an array of extruded products that maintain excellent electrical properties at high continuous service temperatures of up to 300°C / 572°F. Zeus has announced it will showcase its engineered surface tubing during this year's SPIE Photonics West trade show in San Francisco, US, from 4-6 February at booth 4030.